Land agents, Aston Mead, have described the Government’s target to build just 10,000-12,000 social homes per year as “ludicrously low”. 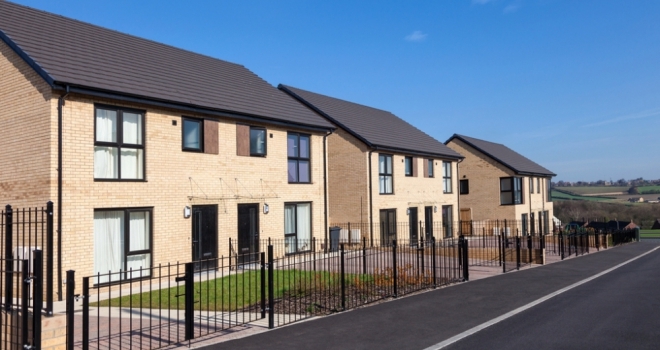 The figure was announced in a BBC Radio 5-Live interview by Conservative MP and Housing Minister Kit Malthouse on Tuesday, despite the widely-held view that there is a shortfall of over 180,000 social homes nationwide. Adam says that funding is for such building projects would be available if council money was diverted from more questionable investments, which are often situated hundreds of miles away from their local area. He explains: “This is quite clearly not a question of a lack of available money. Local authorities are still spending £100m every month buying retail centres, shops and offices, chasing returns to replace revenue lost in government cuts. That’s a total of £1.8bn in the last year, and more than £3bn since 2013. In his recent 5-Live interview, Housing Minister Kit Malthouse admitted that over the years, all governments had not built enough homes of all types, which included social housing. Adam continued: “But setting a ludicrously low target when it’s obvious that councils could do so much more to build on their own land is madness. If the Government is aiming to construct 300,000 new homes every year, they are going to need a full complement of house builders to help them achieve it. That means local authorities should concentrate on building social housing, while private construction firms build the rest. Not only would this guarantee the creation of thousands of desperately-needed affordable homes, it would also allow the private house-building sector to regenerate, and grow again from the crash of 2008, when 50% of small house-builders were completely wiped out.